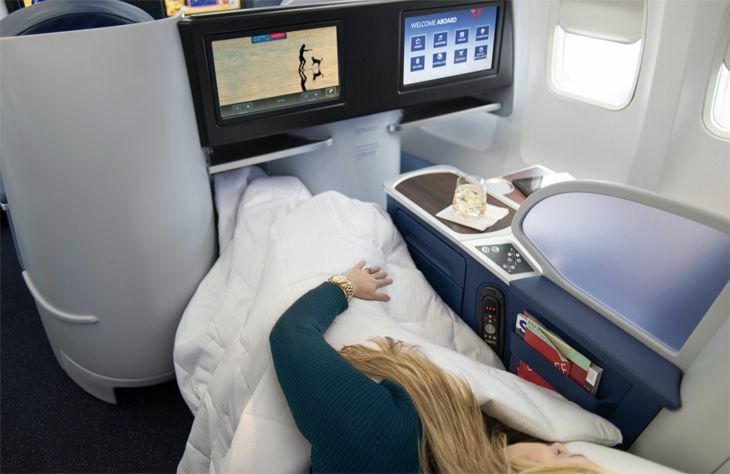 Delta said it plans to extend its Delta One service—the premium front-cabin experience on its international routes – to additional domestic markets next year, and to make more free upgrades available. The perks and amenities of service include a fully-flat seat-bed with Westin Heavenly Bedding; upgraded dining and wine options; in-seat power and USB ports; free in-flight entertainment; noise-cancelling headsets; a Tumi amenity kit; free Sky Club lounge access on the day of travel; and priority check-in, boarding, security access and baggage handling. 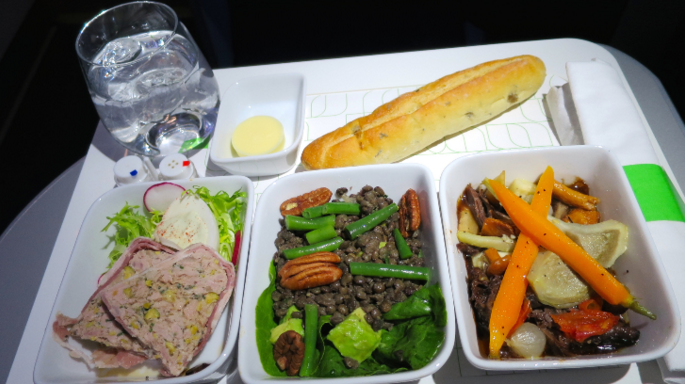 The airline already offers the upgrades first class service on a few select transcontinental routes, including New York JFK-San Francisco/Los Angeles; Boston-San Francisco; and Washington Reagan National-Los Angeles. 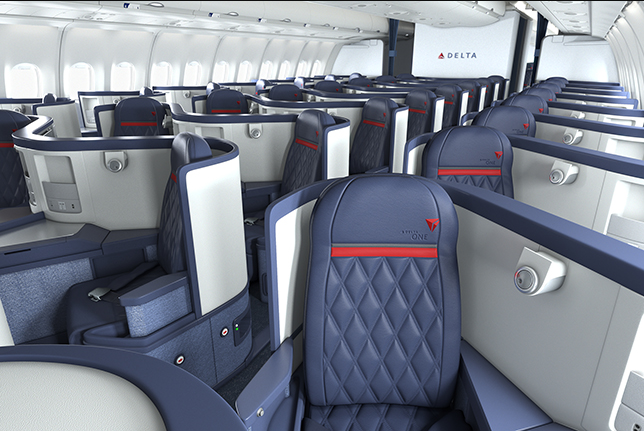 Rendering of Delta’s new lie flat seating on transcon 757s. Been on one yet? On April 1, the carrier will introduce Delta One service on two of its three daily BOS-LAX flights; two of its four daily JFK-Seattle flights; one of its three daily JFK-San Diego flights; and on its daily service from Minneapolis-St. Paul to Honolulu and Atlanta-Honolulu. On May 1, Delta One will be introduced on one of its four daily JFK-Las Vegas flights. Also on April 1, SkyMiles Medallion members will be eligible for unlimited day-of-departure free upgrades on all domestic routes where it is offered, including Hawaii, the airline said. And perhaps that April 1 launch date is appropriate because you’d be a fool to think that you’ll actually snag one of those upgrades! Now that United, Delta and American have all rolled out no-frills Basic Economy fares on domestic flights to compete with the prices charged by ultra-low-cost carriers, are those carriers running scared? Frontier Airlines isn’t. Quite the opposite: Frontier this week announced plans for a massive purchase of new aircraft. Combined with its earlier aircraft orders that haven’t yet been delivered, the deal would triple the size of Frontier’s fleet in 10 years, from 70 planes today to more than 200. 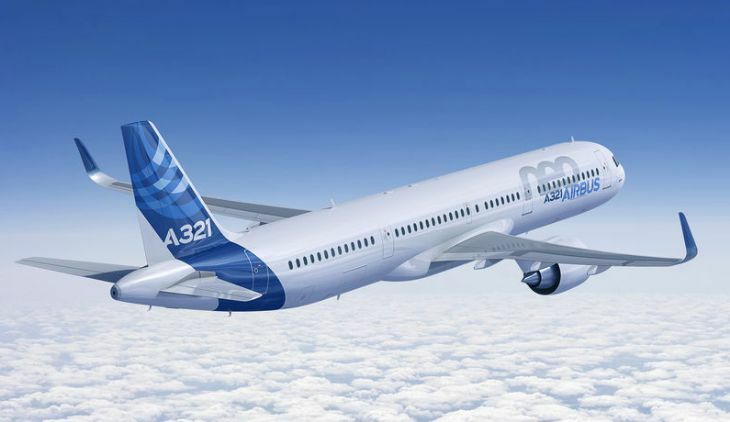 The company said it intends to purchase 100 new A320neos and 34 A321neos from Airbus, for delivery from 2021 to 2026. That’s in addition to 67 A320neos already in the purchase pipeline, and an existing order for 18 A319neos that Frontier is converting to A320s. “By 2026, we will be in a position to deliver ‘Low Fares Done Right’ to more than 50 million passengers a year,” said Frontier CEO Barry Biffle in announcing the fleet expansion. In 2016, the airline carried 15 million passengers. Frontier’s route network is constantly shifting as it adds and drops markets. But a few months ago, the airline announced plans to add 21 cities to its system by next spring, and to add more frequencies on other routes that it already serves. That includes a larger presence at its Denver base and at San Jose, among other cities. Frontier’s fortunes have been rising in recent years. The Denver Post said that in filings related to an impending public stock offering, Frontier reported that its net income increased from $140 million in 2014 to $200 million last year as its fuel costs have been dropping and its ancillary revenues have been increasing. 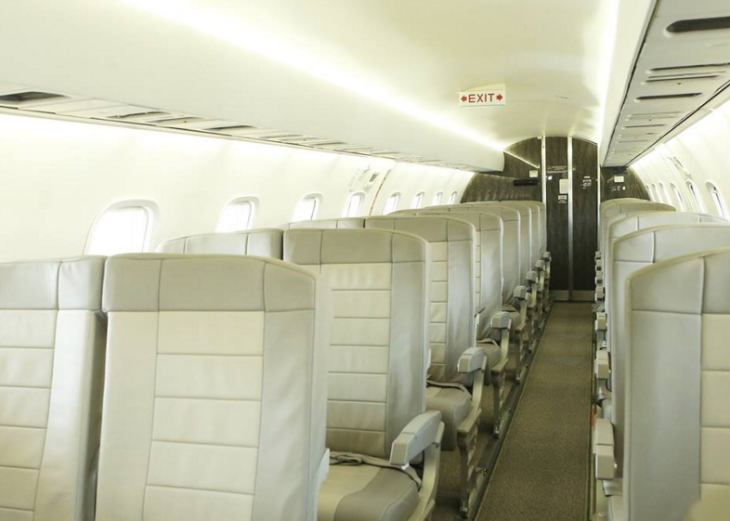 Frontier’s ultra-low-cost carrier business model relies on ancillary fees from all kinds of amenities and services to supplement its low fares. A July 2017 report from Ideaworks said that in 2016, more than 42 percent of Frontier’s revenues came from ancillary fees – compared with just 7.7 percent in 2011, before it changed its business model. The airline’s ambitious growth plan will initially focus on its Denver hub, where it will add most of the new routes announced last summer. That could mean a big battle for market share at DEN, since United Airlines also has plans to enlarge its hub there, and Southwest has grown rapidly at Denver in recent years as well. According to FlightGlobal.com, United’s chief pilot in Denver said in a letter to other pilots last week that United plans to increase its Denver operations from the current 363 daily departures to 400 in 2019, and that DEN could eventually become United’s second-largest hub (after Chicago O’Hare). Fortunately, Denver should be able to accommodate plenty of growth. Airport officials recently said that their plans to expand the passenger concourses have been revised: Instead of building 26 new aircraft gates in the next four years, they now plan to build 39. In airport news, Portland International’s (PDX) Concourse E is getting a big expansion; Air Canada opens a new lounge at Vancouver; faster security screening comes to New York LaGuardia; Miami’s Centurion Lounge is getting bigger; Nashville takes the wraps off a billion-dollar growth plan; and some U.S. airports lose Germany service as Airberlin moves up its shutdown. The next step in Portland (Ore.) International’s long-term $1.3 billion overhaul is an expansion of its Concourse E. The Port of Portland has just hired Skanska as the contractor to lengthen the concourse by 820 feet, constructing a two-story extension that will add six gates to the facility. The existing portion of PDX Terminal E will also be renovated, and its baggage system will be overhauled. The $151 million project – which will enlarge Concourse E by 14,000 square meters — is expected to take three years. Concourse E is used by United, although long-term plans call for Southwest to move into the concourse, with United moving to the south side of the airport. Air Canada has cut the ribbon on its newly renovated and expanded Maple Leaf Lounge at Vancouver International Airport. Open to qualifying Air Canada and Star Alliance customers, the lounge now occupies 1,250 square meters, with space for 258 persons. The two-level lounge has a business zone with desktop computers, printing and scanning services; hot and cold dining options and a chef’s station where custom dishes can be prepared; shower facilities; a TV area; a quiet zone with recliners; and free Wi-Fi. The new facility is decorated with the works of Canadian artists, and furnishings were created by Canadian designers. 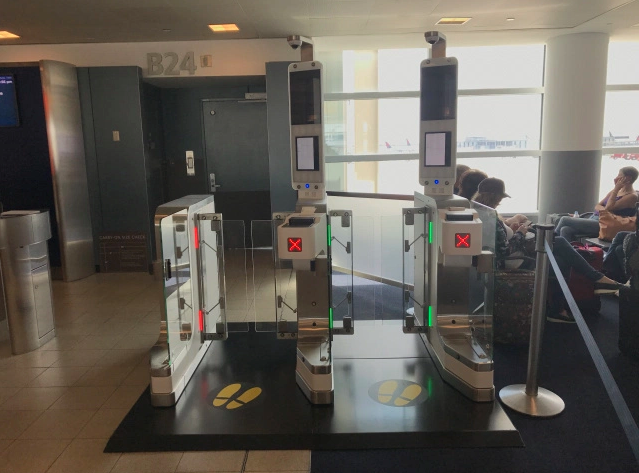 Delta and the Transportation Security Administration have teamed up to bring a pair of new automated security lanes to Terminal C at New York LaGuardia. The airline said four of the new lanes will also be in operation by the end of this month at LGA’s Terminal D. The new security lanes – which are gradually coming to airports all over the country – allow several passengers to load their belongings into bins simultaneously. The bins are 25 percent larger than before, and empty bins are automatically returned to the beginning of the line by separate conveyor belts. 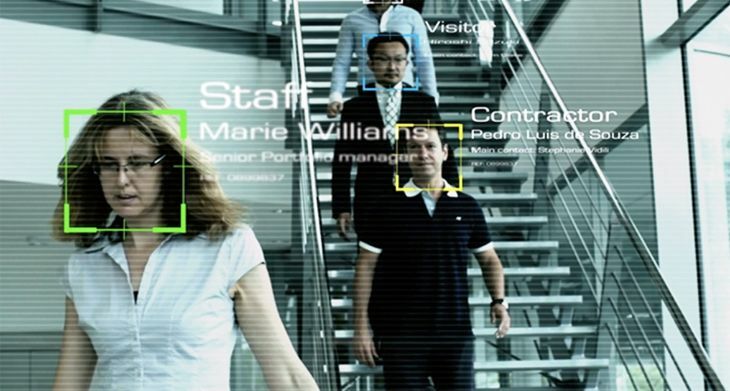 The new design is estimated to move travelers through security checks up to 30 percent faster than before. At Miami International, the airport’s board of commissioners has given a green light to American Express to expand its Centurion Lounge in Concourse D (near Gate D12 on the fourth floor). The project will give the lounge an additional 4,000 square feet of space. That will be taken up by a larger food buffet and beverage area, a new wine bar, more seating, a larger “tranquility area,” additional restrooms, and a pair of private telephone rooms. AmEx just opened a new Centurion Lounge at Hong Kong International Airport, and is due to cut the ribbon on another at Philadelphia International this month. It also changed its admission policy; the lounges are now open only to AmEx Platinum Card holders and Centurion members; other cardholders can no longer buy day passes for the lounges. Officials at Nashville International have released details of a five-year, $1.2 billion plan to make over the airport. It calls for an overhauled terminal, an outdoor plaza area, and a big central entrance with lots of natural light. New construction in the plan includes a 288-room on-site hotel, a 2,000-space parking garage, an expanded Concourse D with more retail concessions, and additional short-term parking areas. The airport plans also allow for the eventual addition of a light rail link to downtown Nashville, although that is a separate city project. Officials said BNA is growing faster than any other U.S. airport of its size, with passenger numbers jumping by more than 11 percent last year. 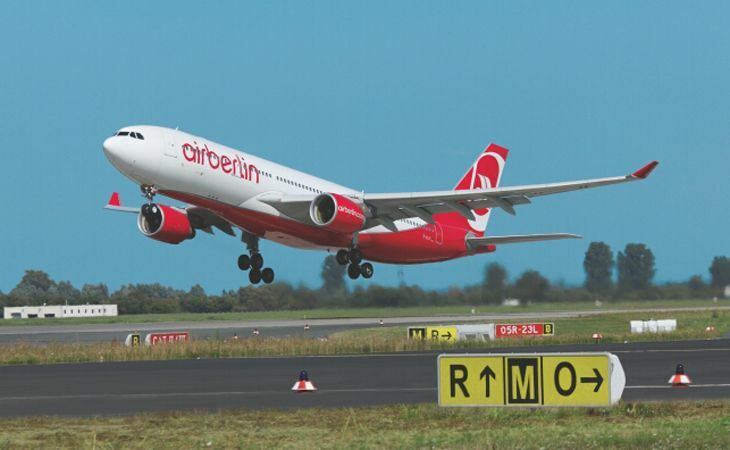 Several U.S. airports will lose some service to Germany in the next few weeks as financially-troubled Airberlin has decided to halt its operations no later than October 28. Earlier, the carrier had hoped to keep most of its flights going until it could negotiate the orderly sale of its assets to other airlines, but it has decided that was an unrealistic goal. In August, Airberlin filed for insolvency in Germany following a decision by Etihad Airways, one of its major owners, to stop putting money into the company. 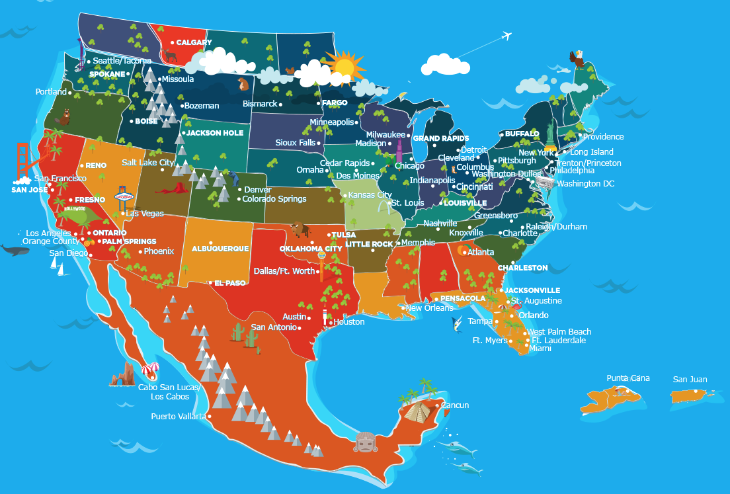 Airberlin’s U.S. destinations from Berlin include Chicago, Los Angeles, Miami, New York and San Francisco. From Dusseldorf, its U.S. schedule includes flights to Boston, Ft. Myers, Los Angeles, Miami, New York, Orlando and San Francisco. However, it recently stopped its SFO-Berlin, LAX-Berlin, Chicago-Berlin and Boston-Dusseldorf flights. Lufthansa has already announced plans to start flying New York JFK-Berlin on November 7 and Miami-Dusseldorf on November 8. 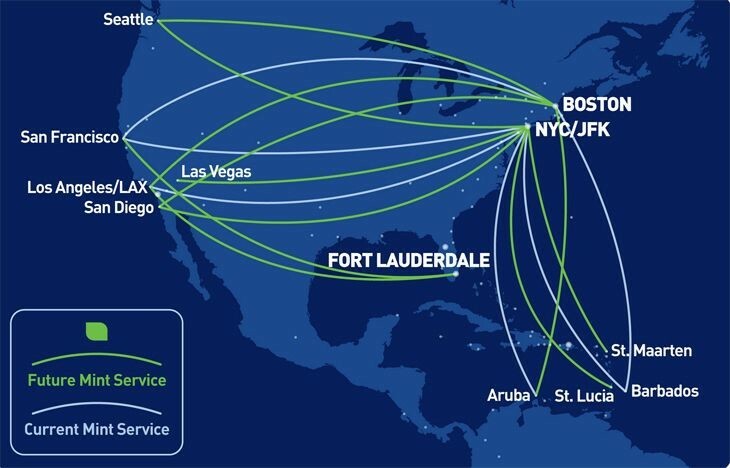 Low-cost specialist Frontier Airlines has unveiled plans for a huge network expansion, adding 21 cities to its route map by next spring. The carrier will also add service on dozens of new routes between cities it already serves. The company said the total number of non-stop routes it serves will nearly double by next summer, to 314. Frontier is due to take delivery of more than a dozen new aircraft by the end of next year, and will also free up more planes by trimming frequencies on some existing routes. At Mineta San Jose Airport, Frontier will start flying to Denver on October 5 and Las Vegas on November 1, followed sometime next spring by flights to Austin and San Antonio. Some routes seem a little odd, like a new nonstop between Atlanta and San Juan, Puerto Rico. 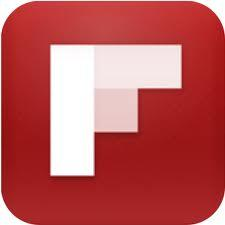 Check Frontiers fares and schedules here. The biggest bump in Frontier’s schedules will come at Denver, its headquarters city. 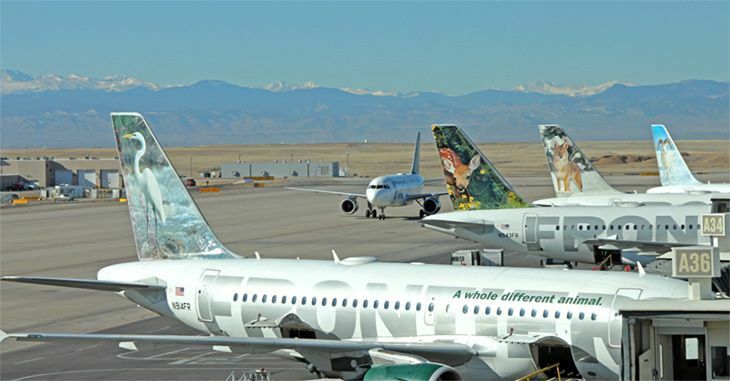 In addition to San Jose, Frontier will add flights from DEN to Ontario, California beginning October 12; Albuquerque on October 24; Oklahoma City November 1; Palm Springs November 10; Reno November 21; and later to Boise, Buffalo, Calgary, Charleston (S.C.), El Paso, Fargo, Fresno, Grand Rapids, Jackson Hole, Little Rock, Louisville, Pensacola, Spokane and Tulsa. 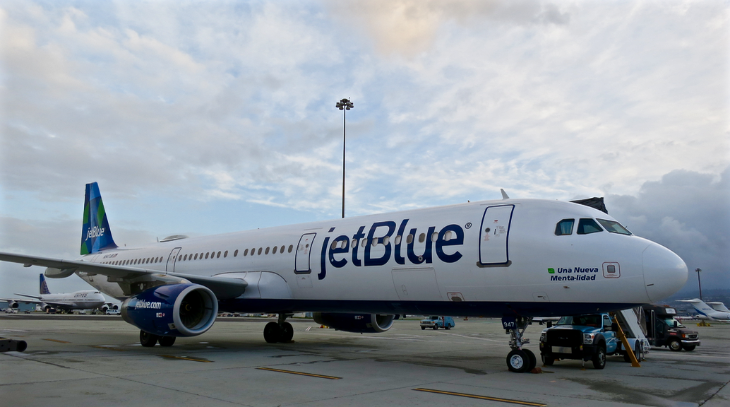 The airline will also bulk up its schedule at Islip, Long Island with new service to Ft. Myers, Miami, Minneapolis-St. Paul, New Orleans, Tampa, West Palm Beach, Atlanta, Charlotte, Chicago O’Hare and Detroit. New routes from Austin in addition to San Jose will include Ontario, Calif. as well as Phoenix, New Orleans, Raleigh-Durham, Charlotte, Cincinnati and Columbus. Frontier’s announcement did not specify the number of flight frequencies in its new markets (but it’s schedules are notoriously thin, which means problems when flights are cancelled). You can see a complete list of all of them here. Frontier has a history of announcing batches of new routes every now and then, and discontinuing service on others. Of the 21 cities it is adding to its network, 16 are airports that it once served but then stopped. But the size of the latest expansion announcement is unprecedented. We have to wonder if this could be Frontier’s response to the growing availability of new “basic economy” fares on the major legacy airlines – fares which are the legacy carriers’ competitive response to the growth of low-cost carrier service in many markets. While the focus of Frontier and other low-cost carriers is bargain-basement base fares, they also rely on a variety of add-on fees for various amenities to boost their passenger revenues. But Frontier is not ignoring business travelers – it has a bundled fare category called The Works that includes refundability, a carry-on bag, a checked bag, priority boarding, a waiver of change fees and the best available seat. 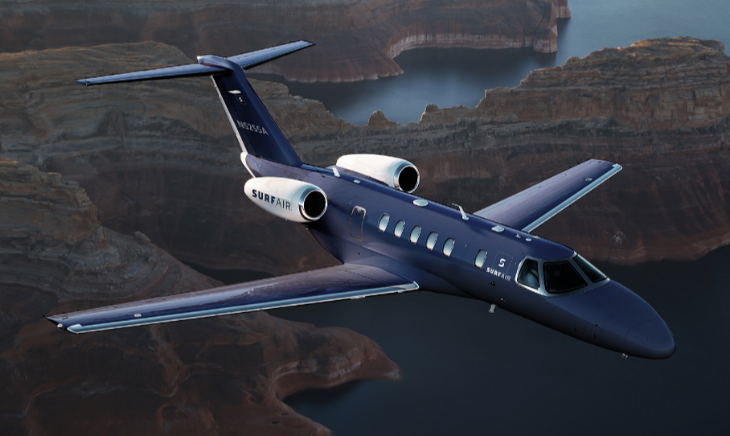 These fares (which start as low as $59 each way) appeal to business travelers at small or medium sized companies without clout or budget for these extras. Have you flown Frontier? Why or why not? Please leave your comments below. Reports are spreading on the Internet that the U.S. Department of Homeland Security could be on the verge of announcing a broad expansion of its so-called “laptop ban,” extending it to U.S.-Europe routes. Meanwhile, another airline affected by the ban has started loaning laptops to its business class flyers. The ban was introduced in late March, prohibiting U.S.-bound travelers on flights out of 10 Middle Eastern and African airports from bringing laptops and tablets into the passenger cabin. The U.K. adopted a similar ban shortly thereafter. According to CBS News, the U.S. is said to be considering an expansion of the ban to include flights coming to the U.S. from continental Europe and possibly the U.K. Not good news as we enter the peak season for transatlantic flying. “Government officials have been meeting with U.S. airlines on a nearly weekly basis and intend to do so again later this week. Officials say a decision could come in the next few weeks,” CBS said. CBS got a non-answer from the Transportation Security Administration saying that it has made no decisions on extending the ban, but adding that it is “continuously reassessing security directives based on intelligence” and will make changes if it considers them necessary. If a ban is indeed coming, perhaps the DHS is giving airlines some time to prepare for such a hit to their operations. 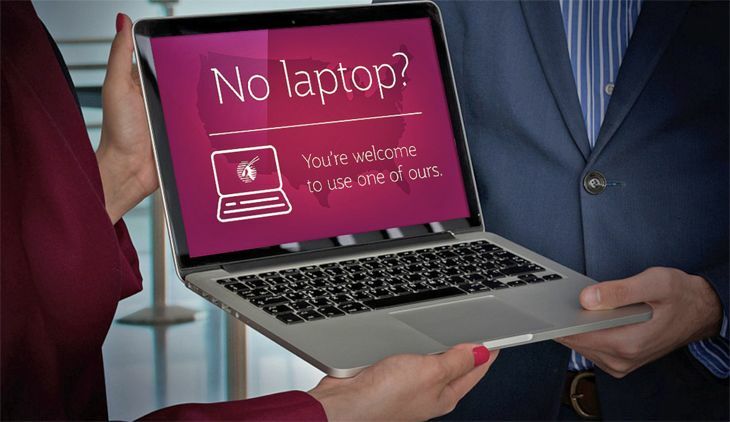 A laptop ban on flights from Europe would obviously pose a major problem for the business travel community, since laptops and tablets – anything larger than a smartphone – would have to be stowed in the hold with the passenger’s luggage (if he or she checked any). Middle Eastern carriers affected by the initial ban have struggled to keep U.S.-bound business travelers by introducing new services like the option of gate-checking your laptop and picking it up at the destination. They have also started offering loaner devices to business and first class travelers for use during their flight; Qatar Airways, Etihad and Emirates all started doing so more than a month ago. This week Turkish Airlines has started a similar loaner program for U.S.-bound business class flyers; it will extend the offer to U.K.-bound flights on May 12. Despite those programs, Middle Eastern airlines are taking a hit in bookings. Emirates announced a few weeks ago that it is cutting flight frequencies on five U.S. routes. If many travelers are booking themselves from the Middle East to the U.S. via connections in Europe to avoid the laptop ban, what will they do if it is expanded? Canada does not currently impose a laptop ban… would it make sense for Americans to travel to/from Europe via Vancouver, Toronto or Montreal? Readers: What would you do if the U.S. bans laptops and tablets from the passenger cabins of U.S.-bound flights from Europe? Interesting: Here’s what started these rumors flying– a tweet from a brainy 20-year-old aviation enthusiast from the UK. In comments he states that the announcement could come from the White House by this Friday. Breaking: The air travel #ElectronicsBan is preparing to be extended to ALL flights from Europe to USA, coming into effect in a few weeks. Faced with increasing competition at its San Francisco hub from Alaska Airlines/Virgin America, United Airlines just announced another growth spurt for its domestic SFO schedules this summer, focusing not on new destinations but on increased capacity in existing markets. The escalating battle at SFO will mean more choice of flights for local travelers. Whether it will also mean lower fares remains to be seen. It’s the second round of SFO expansion to be announced by United this year. In February, the company said it would add seven new domestic destinations from SFO in June and July. Less than two weeks later, Alaska/Virgin unveiled plans to start 13 new routes from SFO and San Jose in late summer. And now United says it will schedule additional frequencies from SFO in eight domestic markets, and switch from regional jets to larger mainline planes in 10 others. Sign up here for one email-per-day updates from TravelSkills! On August 1, the carrier will boost San Francisco-Seattle frequencies to 10 a day, and on August 15 will increase schedules to nine flights a day to Portland, three a day to Philadelphia and Kansas City, and two a day to Albuquerque, Baltimore/Washington, Indianapolis and Nashville. United flies E175s to Albuquerque and Kansas City; the other routes use A319/320s. 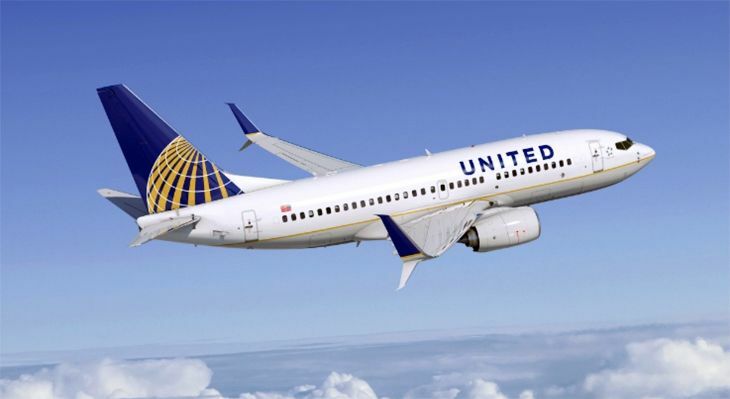 Effective June 8, United said, it will switch from regional jets to 737s for service from San Francisco to Burbank and Palm Springs, and to A320s on routes from SFO to Dallas/Ft. Worth and Minneapolis-St. Paul, as well as SFO-Calgary and SFO-Kansas City for the summer. On July 1, United switches to 737s for SFO-Sacramento flights, and for seasonal SFO-Bozeman service. And on August 15 it shifts to 737s for SFO-Fresno service. Some of those same routes are being added by Alaska/Virgin, including mainline service from SFO to Philadelphia (starting August 31), Nashville (September 5), Indianapolis (September 26) and Baltimore/Washington (October 16); and new E175 service from SFO to Albuquerque and Kansas City effective September 18. Earlier, United announced new year-round daily service beginning June 8 from SFO to Cincinnati, Detroit, Santa Rosa and Spokane, along with new seasonal service from SFO to Hartford and Kalispell, Montana. It also said it would add summer service and expand to year-round daily flights from SFO to New Orleans, a market that Alaska/Virgin will enter on September 21 with daily mainline flights. Starting May 24, United will launch nonstop, seasonal service between San Francisco and Munich (MUC) using a Boeing 787 Dreamliner. So whaddya think? Do more flights on bigger planes make you less likely to stray to the emerging Alaska/Virgin beast which has stated is desire to be the west coast’s preferred carrier? Please leave your comments below. Alaska targets Texas for growth spurt: Why? Alaska Airlines officials said last week they had no intention of giving up Virgin America’s gates at Dallas’ close-in Love Field – even though Alaska already flies to Dallas/Ft. Worth International – and this week they explained why: They are planning a significant expansion of service at Love. The company said it plans to add four new West Coast routes out of Love starting later this summer and into next year, and to keep most of the DAL routes that Virgin already has, although with some changes of aircraft. On August 27, Alaska will begin twice-daily flights between Seattle and DAL, using a Virgin A320 for one of them and an E175 for the second. 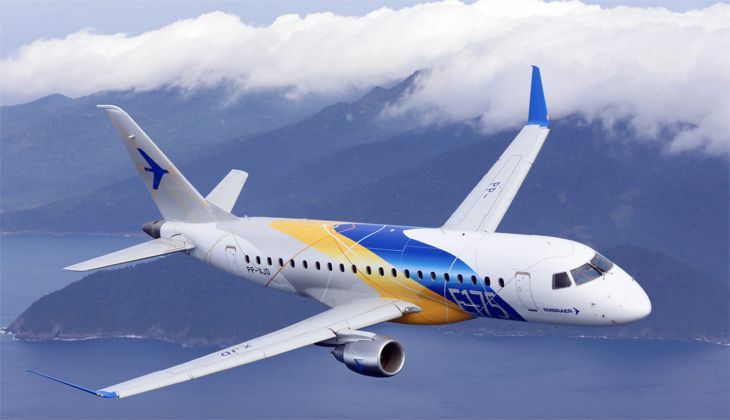 The airline will also use three-class E175s for the other new routes, including daily service from Portland to DAL starting August 28, along with San Diego-DAL and San Jose-DAL, both starting February 16. Southwest, the dominant airline at Love Field, also dominates all four of those routes, with multiple daily flights in each market; and American does the same from DFW. Alaska currently flies to Seattle and Portland from DFW, and will continue to do so. 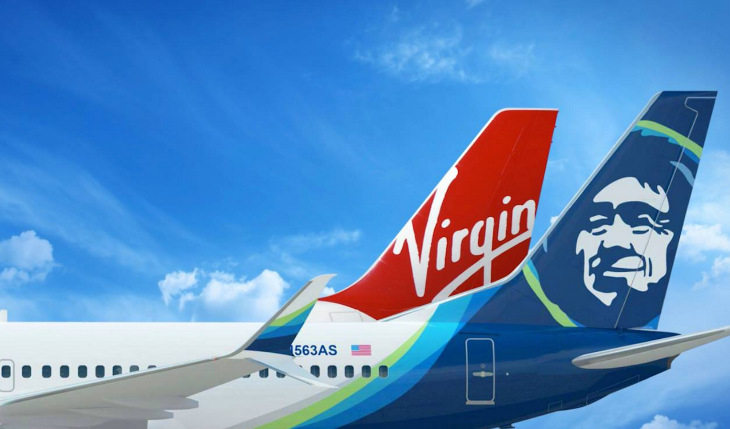 Alaska and Virgin America also plan on “streamlining the airlines’ route network at Love Field” with aircraft changes. This summer, the company will start replacing Virgin America mainline jets with E175s out of Love Field. The changeover is set for August 27 for the three daily DAL-New York LaGuardia flights, with a fourth frequency added October 28. On February 18, two daily DAL-Washington Reagan National flights will make the switch from mainline to E175s, with the third one doing the same March 11. One additional tweak to Alaska/Virgin’s Love Field schedule: Service to Las Vegas will be dropped August 26. The company will continue operating Virgin’s current schedule of three daily flights from DAL to both San Francisco and Los Angeles. Switching to E175s frees up mainline Virgin aircraft from Love Field to fly Alaska’s previously announced new routes from San Francisco to Philadelphia, New Orleans, Nashville, Indianapolis Raleigh-Durham and Kona, and new LAX-Philadelphia flights. “Prior to merger, Virgin America lacked a regional aircraft to take advantage of mid-sized routes. 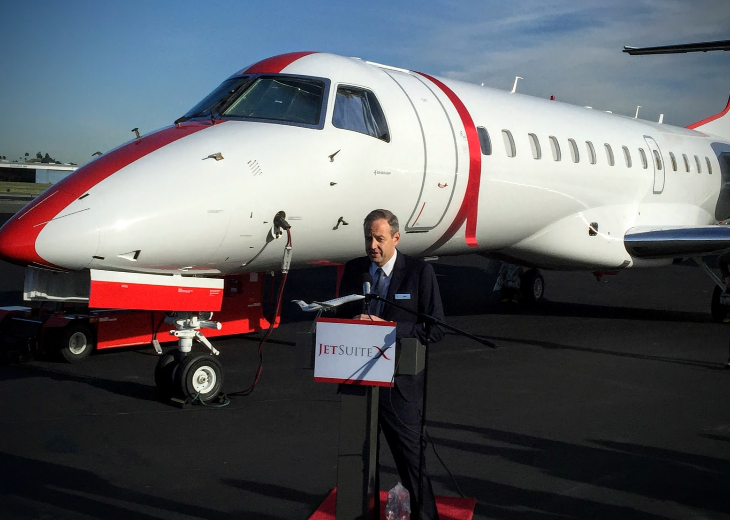 The fuel-efficient E175 jet has the same amenities and features of a mainline jet and is perfectly suited for Love Field,” said John Kirby, Alaska’s vp-capacity planning. 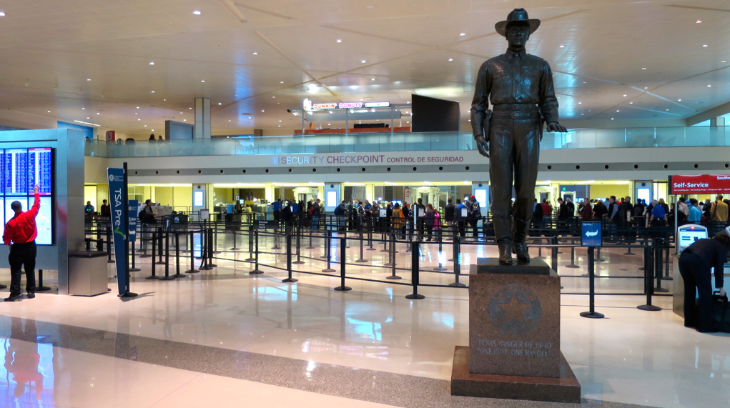 Virgin America moved its Dallas flights from DFW to Love Field in 2014 after regulatory changes opened up the close-in airport to more long-distance flights beyond the states bordering Texas. 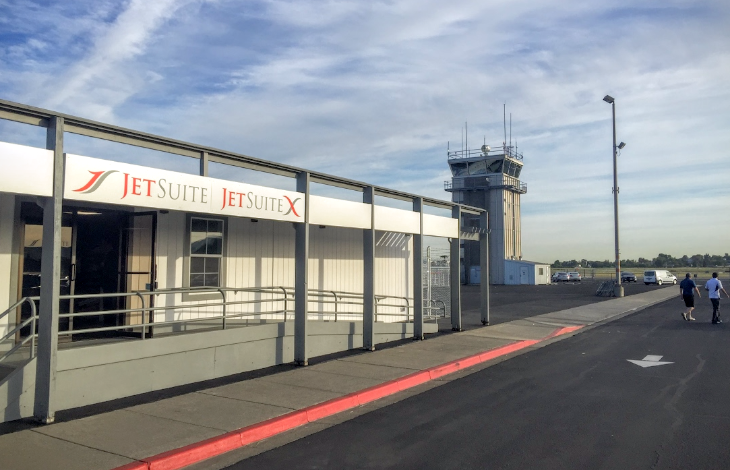 In airport news this week, Delta opens its newest SkyClub, ride-hailing service passenger pick-ups will soon be legal at Atlanta Hartsfield Jackson; Phoenix travelers should be prepared for flight delays in October; more gates will be added at Seattle-Tacoma; American will consolidate its gates at Boston Logan; and Alaska Airlines tests a new baggage procedure at Los Angeles International. 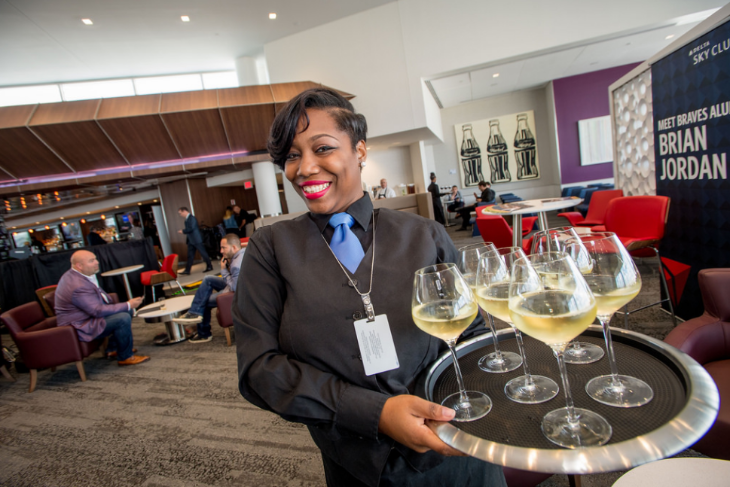 Delta hosted a special preview this week of its newest SkyClub located in a dedicated space on the top of Concourse B at Atlanta Hartsfield-Jackson. Delta is calling the new SkyClub its “flagship” lounge, which is the second largest in its system behind the one at New York-JFK. The carrier says that the new $24 million, 25,000-square-foot, 500-seat space follows the airline’s strategy of “giving each new club a sense of place.” It features locally sourced fare, craft beer from Georgia breweries, artwork from seven Atlanta galleries and other local artists. Its modern design features “tiered ceilings bracketed by massive windows to let in the Southern sun and afford views of downtown,” but alas no outdoor space like you get out at the Concourse F (Int’l) club. It is located at the center of the concourse, adjacent to Gate B18 and opens to the public on Sept 23. Delta’s two other SkyClubs on the concourse will close. 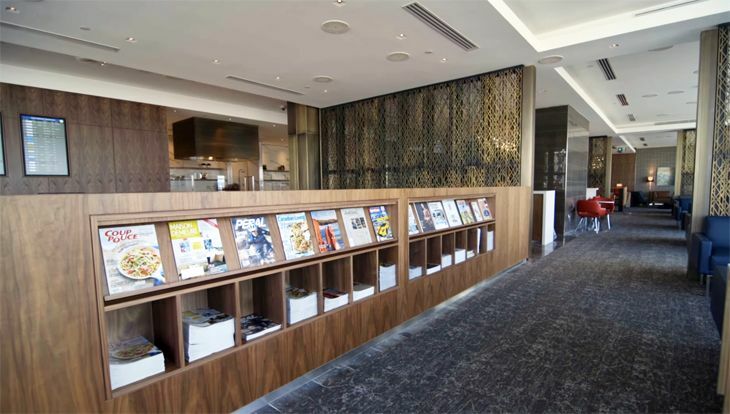 Next up for Delta SkyClubs is a new opening in Seattle expected in late October or November. 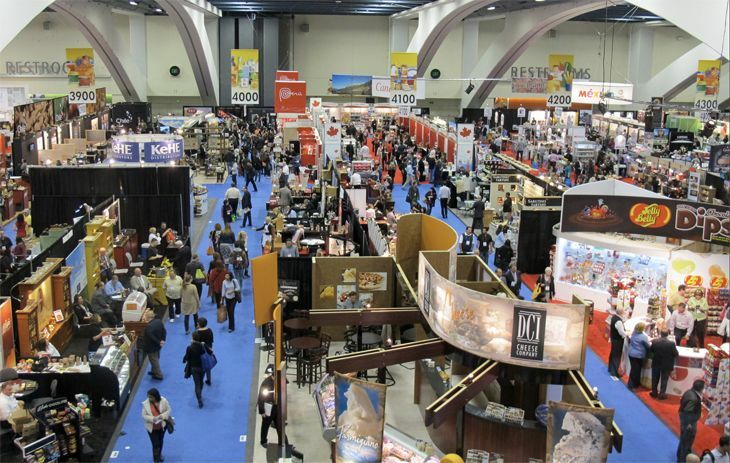 See this video from the ATL preview party. More details from the Delta News Hub here. 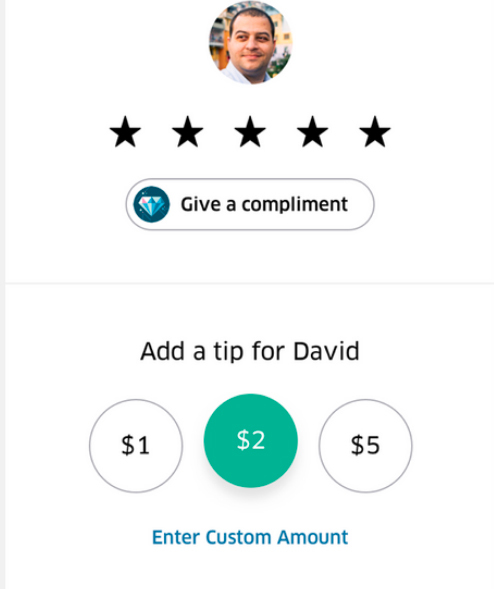 Also at ATL… Some UberX and Lyft drivers have been picking up passengers for months at Atlanta Hartsfield-Jackson, but they have to try to avoid enforcement officers, since what they are doing is technically illegal. But that will soon change: The Atlanta City Council this week approved a measure that will make passenger pick-ups at ATL legal beginning January 1. 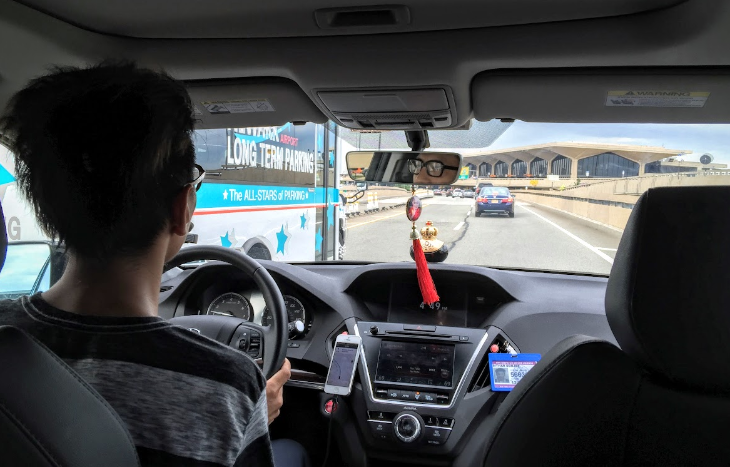 The measure will add a $3.85 fee to the passenger’s fare for airport pick-ups. ATL is the largest airport in the nation that doesn’t yet allow legal ride-hailing service. Travelers at Phoenix Sky Harbor International are being advised to expect delays during the coming month due to runway improvement projects. Officials said the airport’s north runway – one of three at the facility – will be closed from Thursday, October 6 through Sunday, November 6. “Arrival and departure delays of up to 30 minutes are possible during peak travel times: 7:30 a.m.-10 a.m. and 5 p.m.-8 p.m.,” the airport said. It advised passengers to check flight status before coming to the airport. 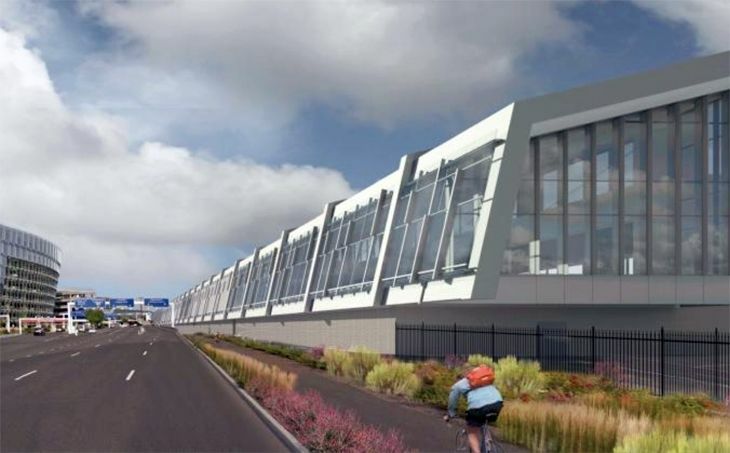 The Port of Seattle’s governing body has approved final plans for an expansion of Seattle-Tacoma International’s North Satellite terminal, which is used by Alaska Airlines. The project will add eight gates to the terminal, with construction starting early in 2017 and completion expected in 2019. 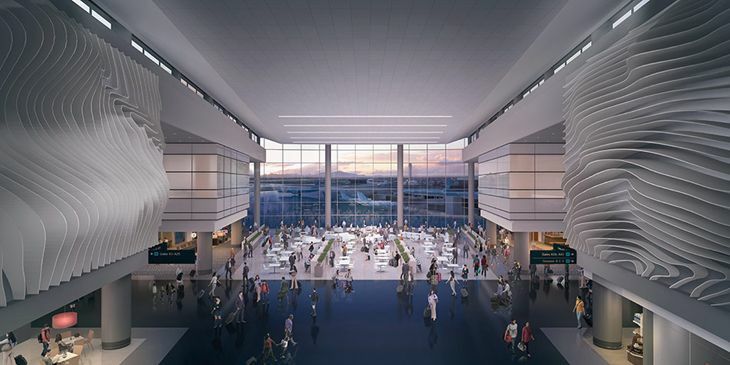 According to the Seattle Times, the project will also expand Alaska Airlines’ lounge on the terminal’s upper floor to 14,485 square feet, and will bring 3,000 square feet of retail and food and beverage concessions to the space. Alaska will continue to use concourses C and D as well. SEA is also building a new international arrivals terminal due to debut in 2019. Passenger numbers at SEA this year are running 10 percent ahead of last year, and 2015 passenger numbers posted 13 percent growth over 2014. 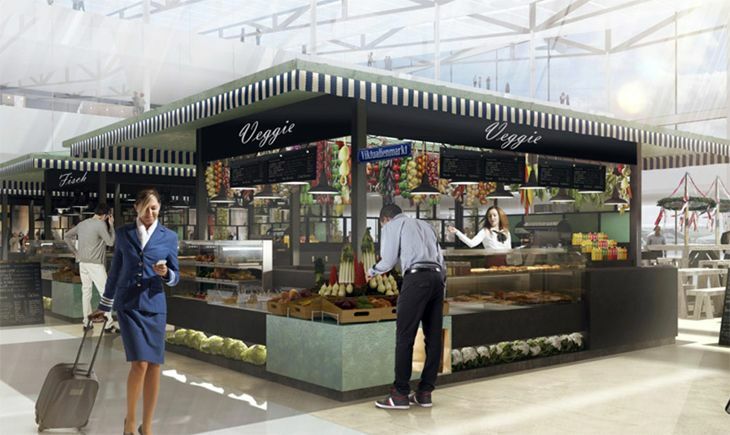 Big changes are coming to Boston Logan’s Terminal B. The Massachusetts Port Authority said an improvement project will consolidate all American Airlines gates from two different locations in Terminal B to 18 contiguous gates on the side of the terminal formerly occupied by US Airways. Also, the three existing security checkpoints on that side of Terminal B will be consolidated into one checkpoint. The project will also bring expanded ticketing/kiosk areas, improvements to the baggage handling space, and reconfigured concessions. 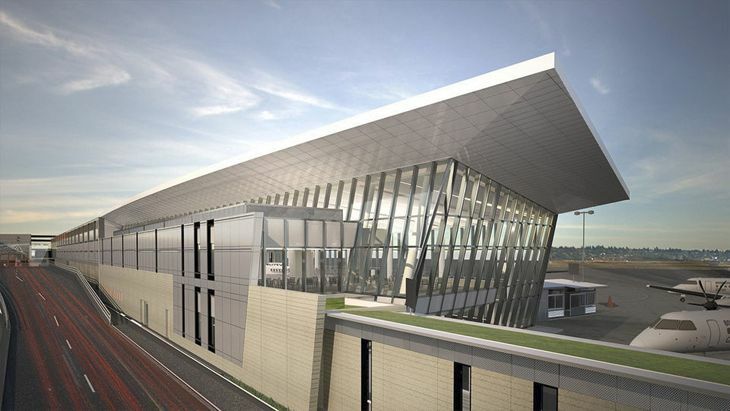 Overall, the effort will add 75,000 square feet of passenger space, Massport said, adding that once the project is finished, Southwest Airlines will move from Terminal A into the former American Airlines gates in Terminal B. 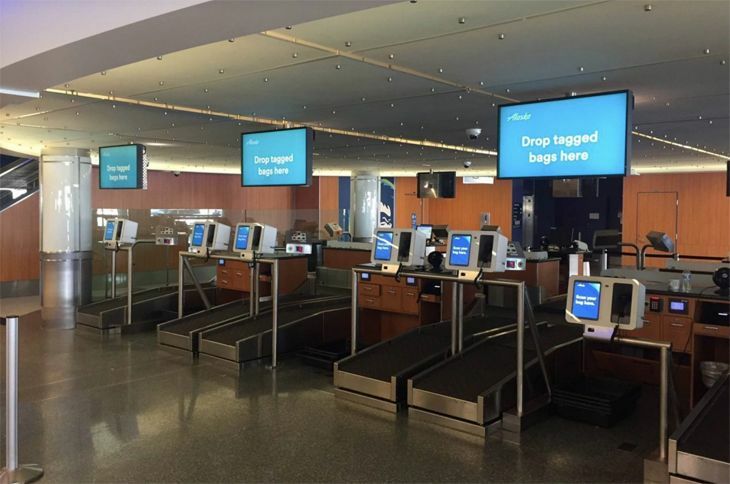 At Los Angeles International, Alaska Airlines has started testing self-service baggage drops for passengers. 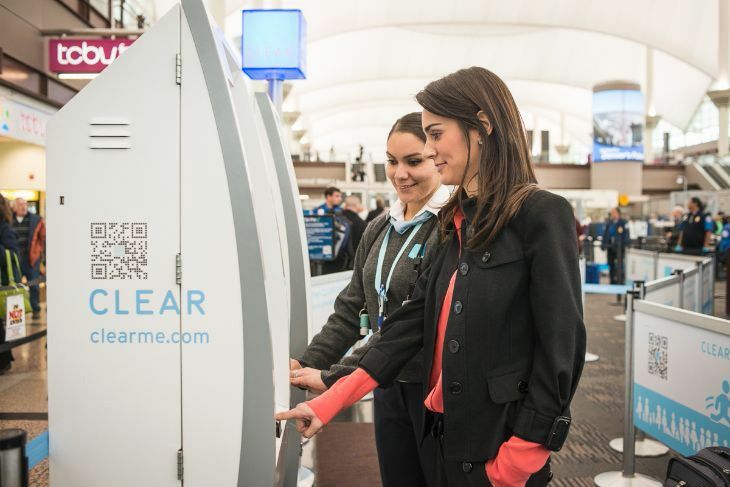 Customers participating in the test – which runs through November 10 — will check in online, by mobile app or at an airport kiosk; they can print a bag tag at home or at an airport kiosk. Then they’ll show an ID to a customer service agent and use one of the six new bag-drop lanes to deposit their luggage. Touch screens will walk customers through the process. 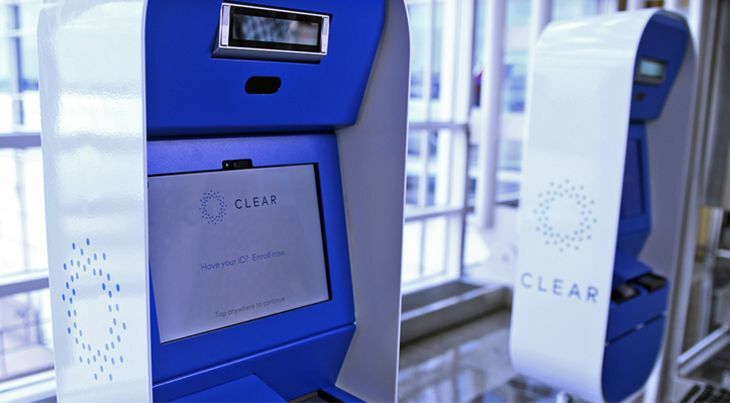 “This technology will allow customer service agents to interact more with customers one-on-one in the lobby while having the machines complete the technical work of dropping the bags,” an Alaska official said. There’s a lot going on at Munich Airport these days. Later this month, officials will cut the ribbon on a big new terminal as Lufthansa expands its second hub. Not long after the opening, the airline plans to add a new U.S. route from Munich. Meanwhile, Marriott has cut the ribbon on a new hotel at MUC, and a European carrier is adding a base of operations there. 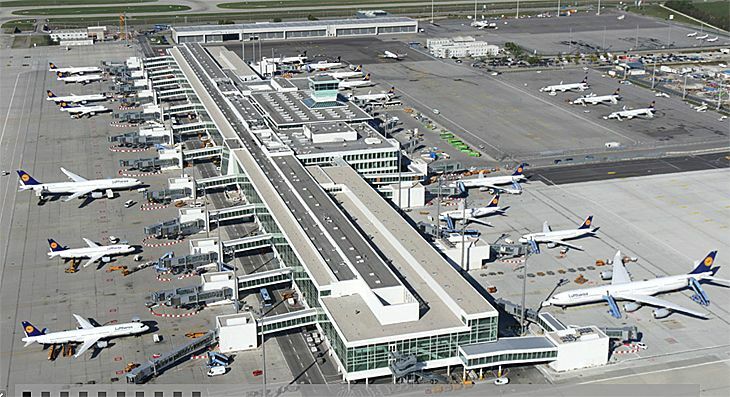 April 26 is the scheduled opening date for Munich Airport’s new Terminal 2 Satellite, a standalone facility that will give Lufthansa another 52 gates. 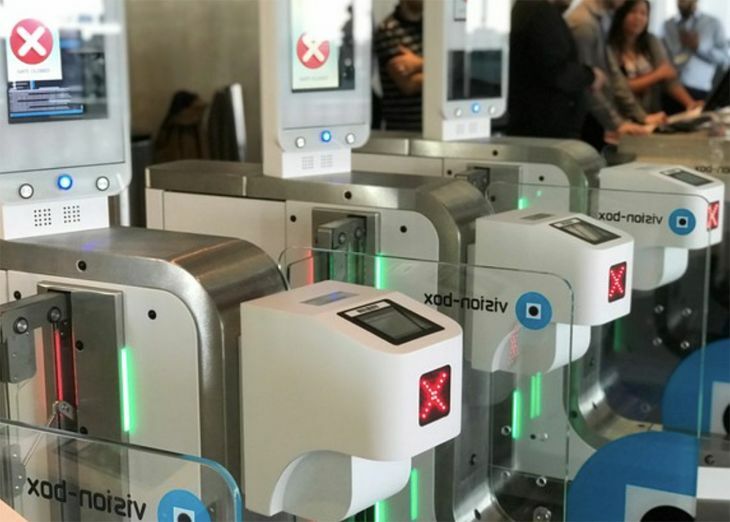 Fifty meters wide and longer than three football fields, the T2 Satellite provide travelers with 20 more security checkpoints and 42 new passport stations. Other features of the big new facility include a 7,000 square meter central marketplace, two bars with great views of the airfield, and five new lounges. Lufthansa started building up a hub at Munich after its original Terminal 2 opened there in 2003, but that facility was designed to handle up to 25 million passengers a year – a limit that the airline said has been exceeded over the past few years. The new satellite will expand Lufthansa’s capacity at Munich by another 11 million annual passengers. 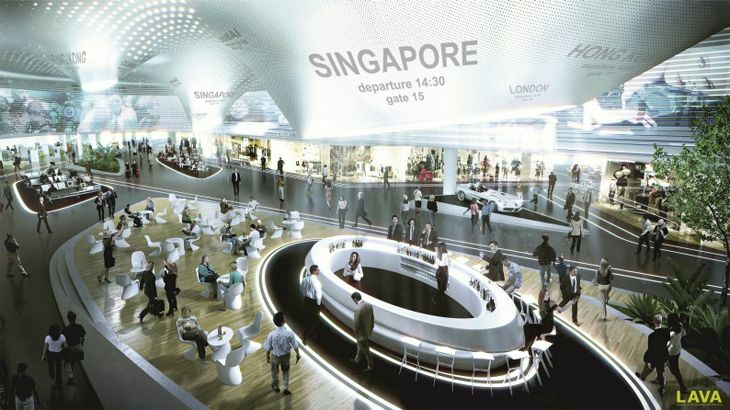 It will be linked to Terminal 2 by an automated underground people-mover system that can handle up to 9,000 passengers an hour in each direction. “In order to comply with EU security regulations, the passenger transportation system is conceived so that three different passenger groups can be transported separately according to the country of origin of their flight,” Lufthansa said. As part of its ongoing expansion at Munich, Lufthansa plans to add a new U.S. route. 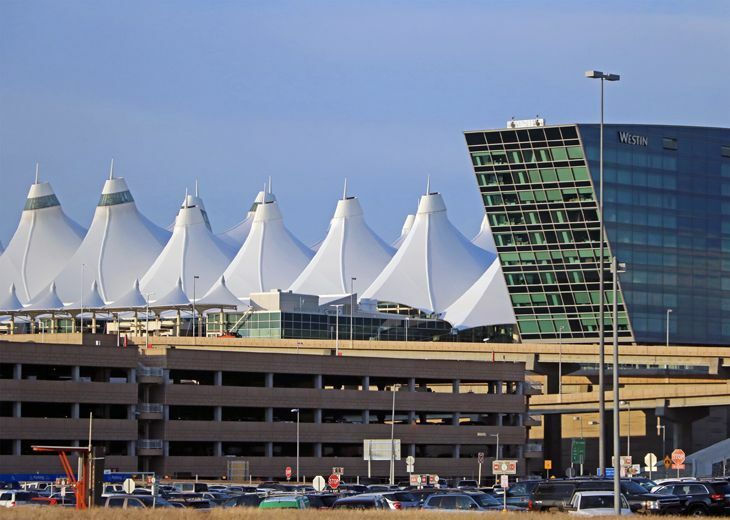 On May 11, the airline will begin operating five flights a week to Denver International, an airport that it already serves from its Frankfurt hub. Airport officials at DEN said the new Lufthansa service will increase capacity from Denver to Europe by 20 percent. Meanwhile, Marriott has cut the ribbon on a new hotel at Munich Airport – a 252-room property that belongs to the lodging giant’s new Moxy brand. What does the Moxy brand represent? According to Marriott’s brand-speak, the Moxy brand “boldly reinvents the select-service hotel paradigm offering a spirited experience– to fully embrace today’s Next Generation traveler and to show the world what ‘moxie’ really means – fun, spirited and stylish.” Its “bold design and affordable style” include a “living room” that’s a guest hub, with fast free Wi-Fi and lots of USB and power ports. There’s also a library, a fitness center, 24/7 self-service food and beverage. 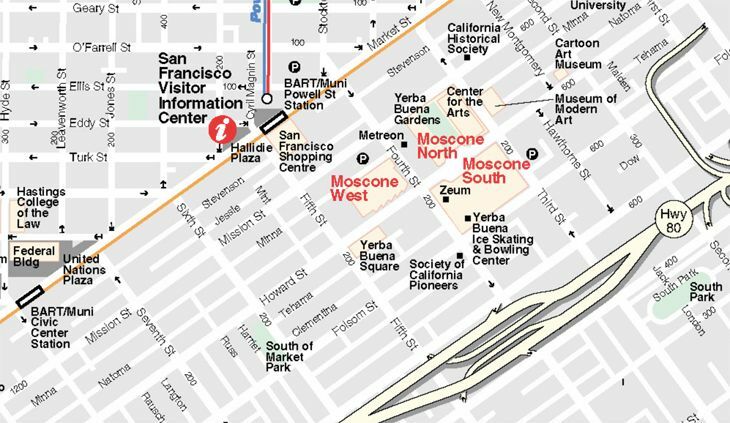 It’s five minutes by shuttle bus from the terminals. Finally, the European carrier Transavia – a low-cost subsidiary of Air France-KLM – this spring is developing a new base of operations at Munich, putting four 737s there. Transavia’s only existing route from Munich is to Paris Orly, but it plans to add MUC service to 16 more destinations in Italy, Belgium, Croatia, Denmark, Portugal, Spain and Morocco. As U.S. carriers haul in record profits, they are reinvesting some of that money in an improved passenger experience – especially for premium customers. The latest effort along these lines is an announcement from American Airlines that it will overhaul and expand its top-of-the-line Flagship Lounges at key hubs, and make them accessible to more customers; add a new Flagship Dining experience with table service; and open new Admirals Club lounges. 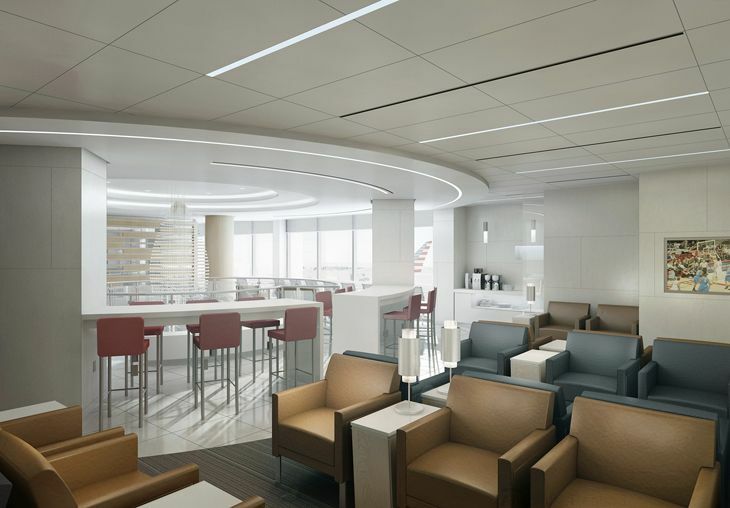 American said it plans to “redefine” its Flagship Lounges – exclusive airport retreats for its first class passengers (and separate from its Admirals Clubs) – by renovating and expanding the existing facilities at New York JFK, Los Angeles International and Chicago O’Hare, and adding new ones at Dallas/Ft. Worth, Miami International and Philadelphia International. The work starts this spring. Because the Flagship Lounges will be larger and in more airports, American said that starting in 2017, it will open them up to more passengers – specifically, customers booked in first class and business class on transpacific and transatlantic flights, as well as flights to “deep” South America and first/business class passengers on the airline’s transcontinental A321T flights. Besides enlarging the Flagship Lounges, AA said it will refurnish them, add more connectivity and power outlets, and bring more hot and cold selections to their buffet food service. Speaking of food, the airline also plans to create new Flagship Dining facilities starting in 2017 at its JFK, DFW, Miami and LAX hubs. 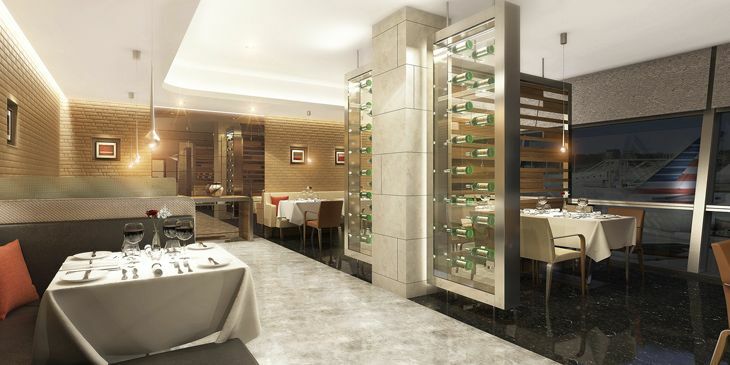 Instead of the buffet service in Flagship Lounges, these new facilities will provide full table service, seasonal menus and locally sourced ingredients. 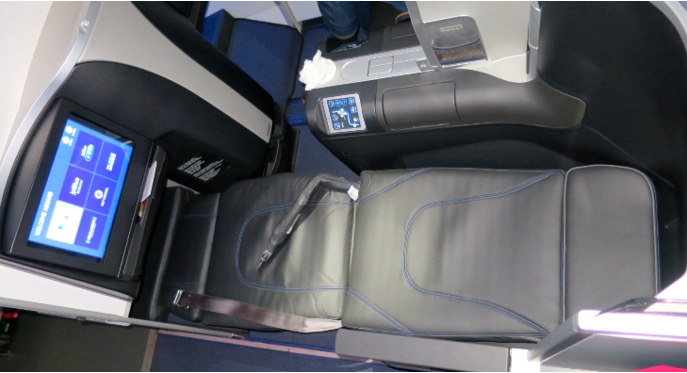 Access will be limited to first class passengers on AA’s three-class international and transcon flights. 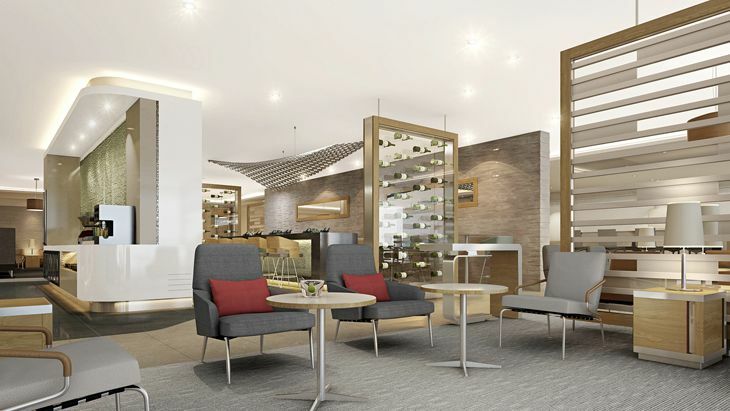 This month, American is also beginning an overhaul of its arrivals lounge at London Heathrow; the renovation includes private showers and dressing areas, food and beverage service, and a valet pressing service. As for American’s paid-membership Admirals Club airport lounges, it will open new ones in Orlando International and Houston Bush Intercontinental, and will continue to renovate existing locations. 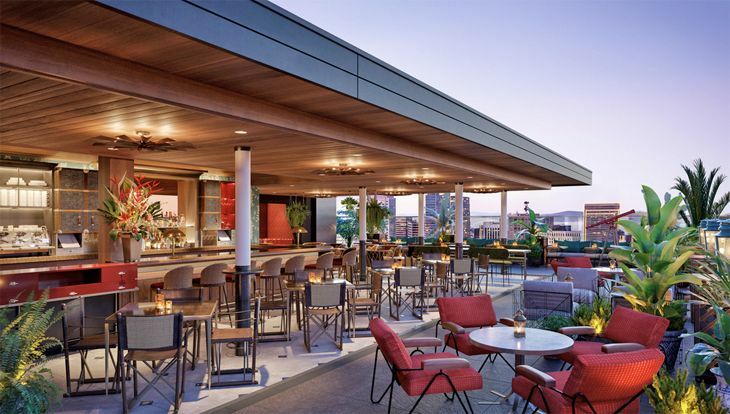 The first Admirals Clubs to get the new look and renovation were recently completed at Sao Paulo Guarulhos in Brazil and at Phoenix Sky Harbor. The renovation schedule includes 15 more locations over the next few years, starting with Admirals Clubs at New York JFK, Miami and Los Angeles. The company has put up a Youtube video where you can get an idea of what the new and renovated facilities will look like. Just a week after word got out about Delta’s plans to accommodate growth at Los Angeles International Airport by moving out of newly-renovated Terminal 5 to larger quarters at Terminals 2 and 3, American Airlines has unveiled a growth spurt of its own at LAX. American said that it will add 20 more daily flights out of LAX starting June 2, serving nine destinations, and will beef up frequencies on some existing routes. The airline said it is building two new gates at LAX to accommodate the increase, which will give it a total of 220 flights a day at LAX to 70 destinations worldwide. On June 2, American will jump into the busy LAX-Seattle market with five daily roundtrips. We say “busy” because LAX-Seattle is already served with multiple daily flights by Alaska, Delta, United, Southwest and Virgin America. 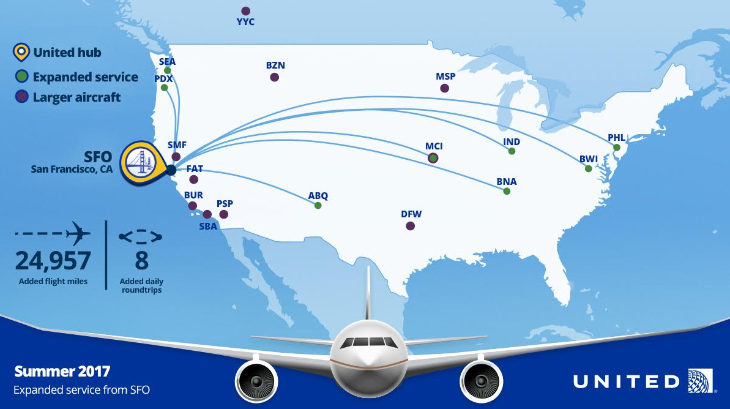 In addition, Southwest flies from Burbank and Ontario to Seattle, while JetBlue serves Seattle from Long Beach. American will also kick off three daily roundtrips from LAX to Portland, a route already well covered by Delta, Southwest and Alaska. 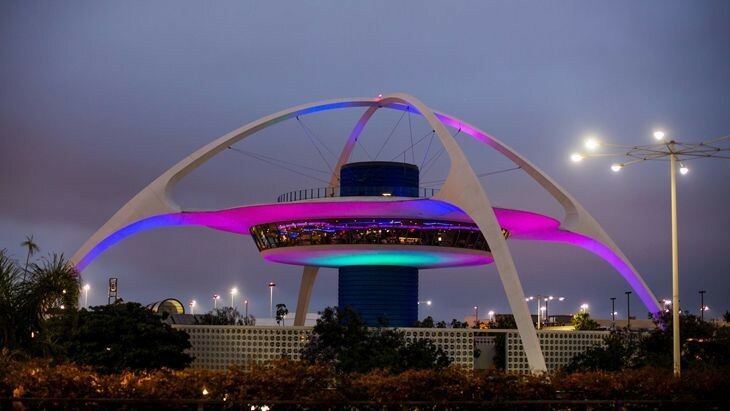 Other new LAX markets for AA in June will include Minneapolis-St. Paul with two daily flights, and New Orleans, Kansas City, Omaha and Hartford, each with one flight a day. At the same time, American will debut seasonal service every day from LAX to Anchorage and on weekends from LAX to Durango, Colorado. New summer service out of LAX will include daily flights to Jackson Hole, Wyoming and weekend-only service to Montrose and Vail/Eagle, Colorado. The new domestic growth comes on top of American’s ongoing international expansion at LAX, including new daily service to Sydney that started last month, and plans to begin flights to Tokyo Haneda in February and Auckland, New Zealand in June. As air travel keeps growing, airports must expand to keep pace with the traffic. 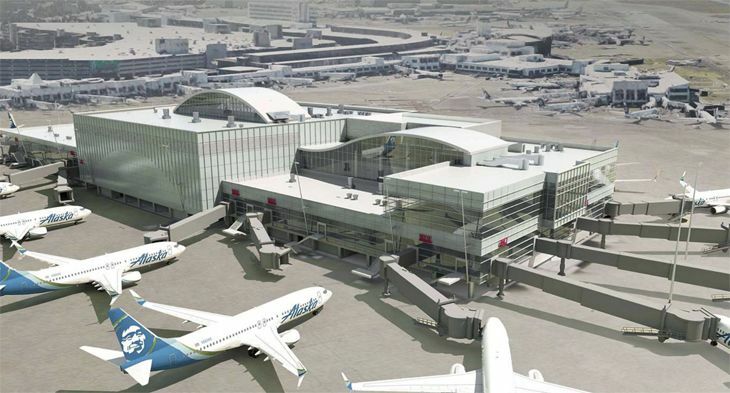 The most recent new airport designs include Germany’s Frankfurt Airport which this month started construction on a new Terminal 3; Salt Lake City released renderings of the ongoing massive overhaul of its airport; and Portland will add a new wing to one of its terminals. 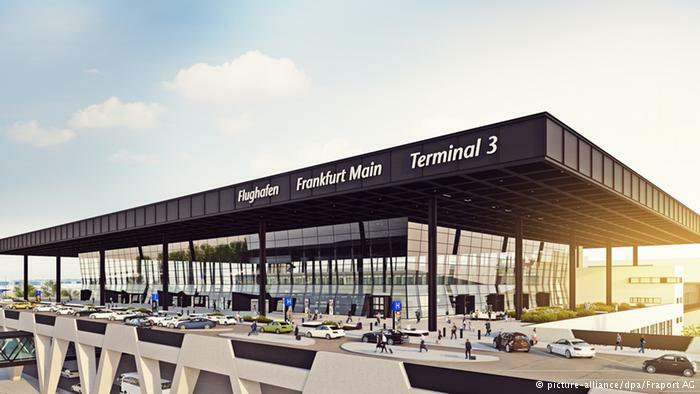 Officials in Germany this month held a groundbreaking ceremony marking the start of construction on Frankfurt Airport’s big Terminal 3 complex — a project that will take years to complete. The first phase of construction, which won’t be finished until 2022, includes the main terminal building and two piers of aircraft gates (designated Piers H and J) that can handle up to 14 million passengers a year. (Officials of Fraport, the airport’s owning company, noted that the passenger capacity of the existing terminals 1 and 2 will soon be exceeded due to continuing traffic growth.) In the future, the airport will be able to add another two piers to increase T3’s capacity to 25 million passengers. The new facility will be linked to the existing terminals with a new SkyLine people-mover system. 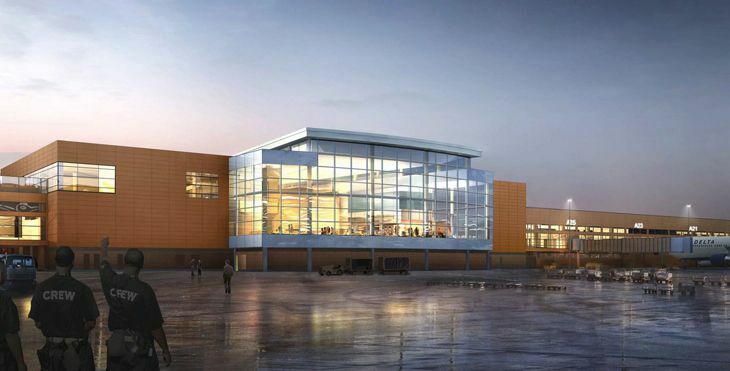 The firms handling design and construction of the new terminal at Salt Lake City International Airport have released renderings of what the finished project will look like. Preliminary work started last year, and the terminal won’t be finished until 2020. 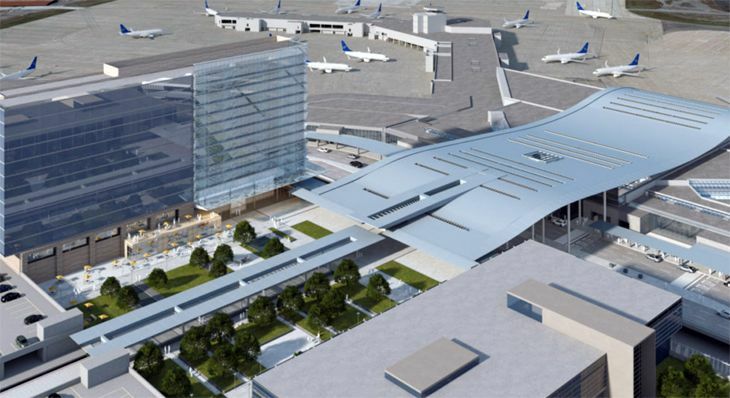 The three existing terminal buildings will be consolidated into a $1.8 billion, three-story terminal building and 4,000-foot-long linear concourse will include 75 new gates, moving walkways, and new shopping, dining and parking areas. Check out a video fly-through of the new terminal here. 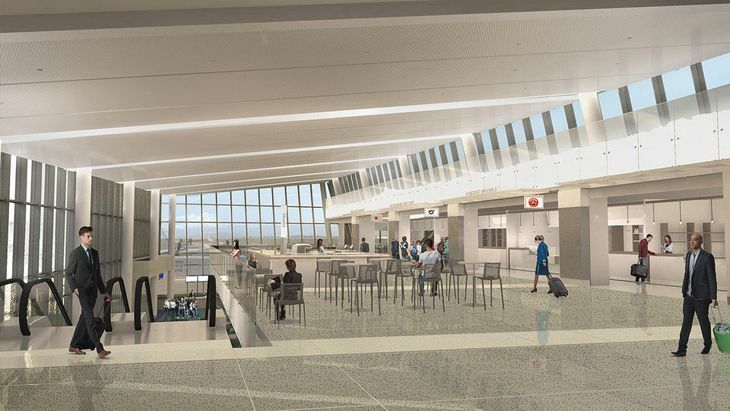 In January 2016, Portland International Airport in Oregon will begin work on a $98 million, 44,000 square foot expansion of Concourse E on the north side of the terminal, adding new gates and food-and-beverage outlets. When it’s finished, Alaska Airlines will move from concourse space south of the terminal to the newly expanded north side, and United will do the reverse. 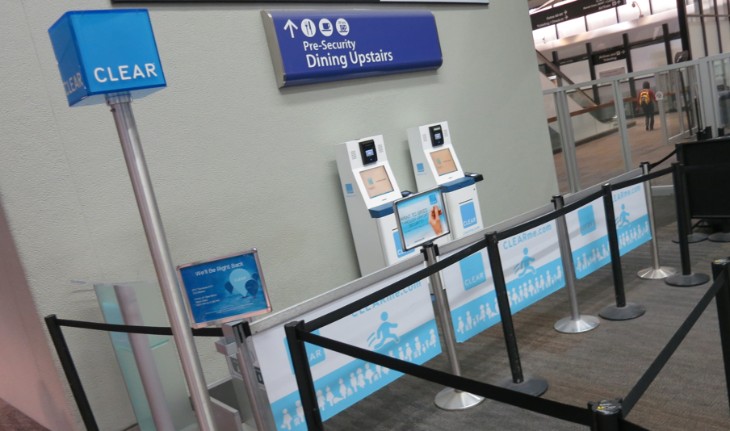 In the months ahead, Portland will also redesign its security checkpoints, and overhaul the ticket lobby and baggage claim areas. 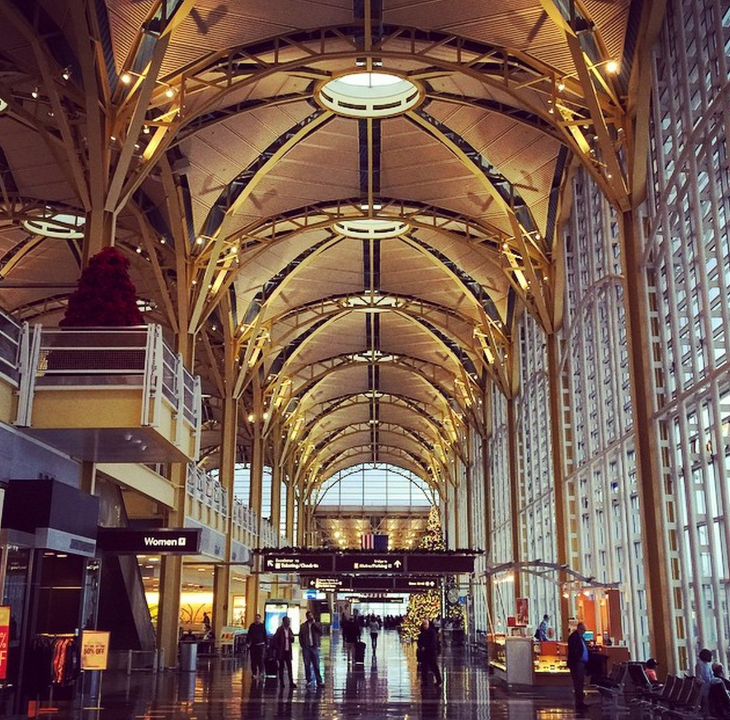 What do you think is the most beautiful airport in the world? Why do you think so? Please leave your comments below.